Typhoon Hato wrecks havoc in Macau, exposing weaknesses in governance and leadership. 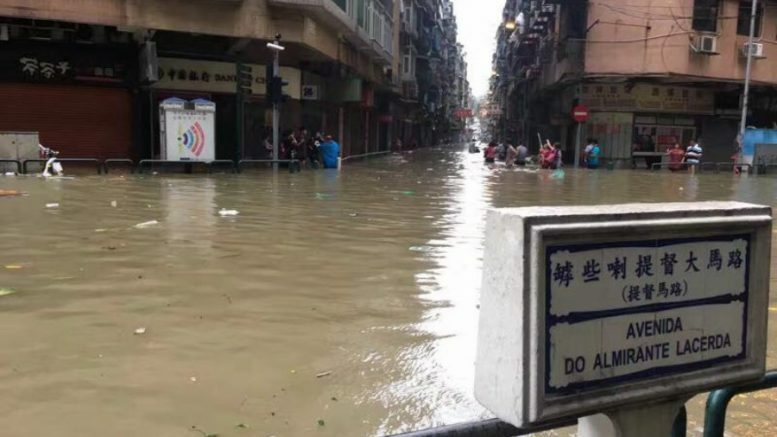 To add insult to injury, the Macau authorities had denied entry to four Hong Kong journalists who were given the job from their media outlets to cover the aftermath of typhoon Hato in the enclave last week. They include the South China Morning Post, Apple Daily and HK01. They cautioned that this move, similarly to previous ones of the same kind, tarnishes the international image of the SAR regarding press freedom. In a joint statement, the Hong Kong Journalists Association (of which this author is currently the chairperson) and the Hong Kong Press Photographers Association urged Macau to respect press freedom. Compared with the enormity of the damages, both in terms of substance and image, inflicted on Macau, the barring of entry of four Hong Kong reporters seems to be a storm in teacup. Yet it says something of the stark backwardness of the SAR despite the big strides they had made since opening up the gambling industry. The glitters of the gaming city, which has overtaken Las Vegas as the world’s leading gambling capital in 2007, dimmed as typhoon Hato took its toll on the city. Hong Kong fell behind the city when it comes to per capita income. Like the Macau press’ fears about the damages to the city’s international image caused by the denial of entry of Hong Kong journalists, images of the People’s Liberation Army stationed in Macau being called upon to clean up the piles of rubbish in streets and help the city return to normal life are no doubt bad publicity for the city. Those PLA-in-action images are normal scenes under such rare situations in the mainland as landslides and earthquakes or catastrophic industrial and transport accidents. Under the political framework, the SAR governments are given a high degree of autonomy to run their internal affairs, including disaster relief. They could seek the helping hands of Chinese troops in cases like disaster relief if they want to. That the PLA was called upon to join the relief work has laid bare the deficiencies of the governance and leadership of Macau, which have become more acute and apparent in view of its rapidly-growing economy. From the outset, the sprouting of six-star hotels and casinos bearing global big entertaining and gaming brands have put the city on the league of global pre-eminent cities. But the chaos enveloped with the visit of typhoon Hato are reminiscent of the bedlam in disaster-devastated underdeveloped cities in the mainland and other parts of the world. The glittering Macau at night. 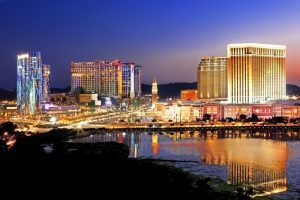 If there is one major difference between Macau and many of those places, it is the fact, welcome but now embarrassing, that the Macau government is flooded with cash so much so that cash give-away to citizens has virtually become an annual ritual. Substandard governance has contributed to the rise of political activism in the city. Although the power of opposition is small, they have caused panic among the Macau authorities. In recent years, there are fears that the Macau government has screwed up political control to help maintain order. It is apparently against the background of government fears about the political scene that they have enacted a law on internal security in recent years. Citing the internal security law, some Hong Kong journalists and political activists including district council members and ex-student union leaders had been denied entry into Macau, especially during political sensitive time. The use of immigration control to turn away what Macau government deems as trouble-makers, be they from the pan-democratic camp or media outlets, bore resemblance to the way the communist authorities maintains order in the mainland. If anything, the PLA debut show in Macau is yet another sign of the fast-moving mainlandisation of the enclave. Be the first to comment on "PLA show a sign of Macau ‘mainlandisation’"